For those of a certain generation, Frank Sidebottom was a perennial presence on children's Saturday morning TV shows. For others he was a rock star. With his bulbous papier-mâché head, he was certainly unique. But who was he? Directed by Steve Sullivan, Being Frank sets out to examine the man behind the mask, the Cheshire-born Chris Sievey. A natural entertainer, Sievey began his foray into showbiz utterly determined to seek out musical recognition. His late 70s band The Freshies were well-liked, but this was the gloomy era of Joy Division and their music was at odds with the zeitgeist. 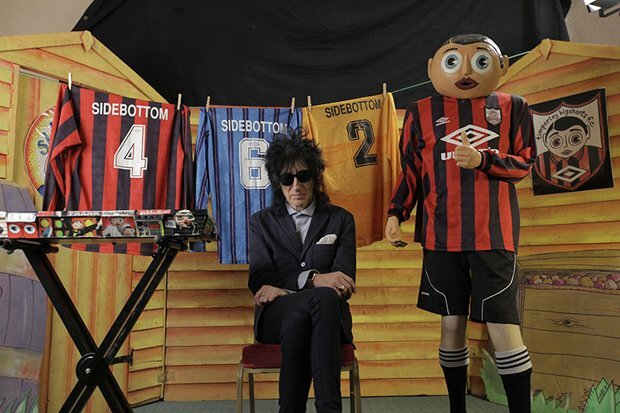 Following one Halloween, he invented the costumed character of Frank Sidebottom, a Freshies super-fan who was soon charming concert audiences. From there, Sievey rode his own wave, into television and beyond but, consumed by the character, his lust for life soon got the better of him. Drink, drugs and extramarital affairs became the norm. With Sievey regularly blowing family money, his then-wife Paula – interviewed here in confessional mode – languished at home. Not long after Sievey died in 2010 of cancer, aged just 54, his strange legacy found its way into Lenny Abrahamson's film Frank, with Michael Fassbender donning the head as an alt-musical maestro. One suspects Sievey would've enjoyed that just as much as Sullivan's doc, which affectionately pays tribute to his remarkable artistic spirit, promotional powers and ceaseless creativity. Working from a mass of archive footage and fresh interviews with friends, relatives and admirers (including comedians Ross Noble and Johnny Vegas), the film has the same homespun feel as one of Sievey's projects. There's a particularly lovely element regarding a secret code that Sievey wove into the artwork of his album covers; it's worth staying to the end credits for all to be revealed.